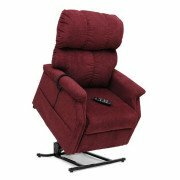 Infinite Position Lift Chairs (sometimes referred to as 4 Position Lift Chairs) have dual motors which allow for the back and the ottoman to act independently. Infinite Position Lift Chairs can achieve an almost flat state. How flat depends upon the manufacturer. 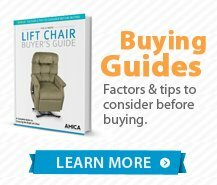 What is a Infinite position lift chair? Infinite position lift chairs are the Cadillac of lift chairs. 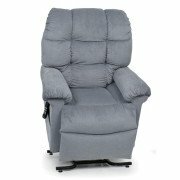 All the bells and whistles are available, including heat and massage, a full sleeping position, dual motors and more. 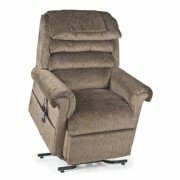 An infinite position lift chair is for the person who will be spending the majority of their day in the chair. 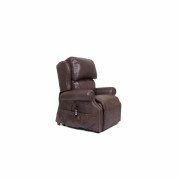 This chair offers a full recline position, also called a sleeping position. Some chairs offer a bed mattress like the one shown in the picture. 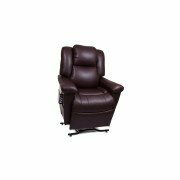 Infinite position lift chairs offer the comfort necessary to get a good night sleep. I did mention there are dual motors built into infinite position lift chairs. 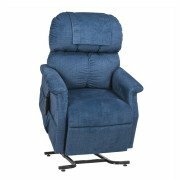 This is a feature not found on other lift chair models. Dual motors allow the chair back and the ottoman to move independently of one another. 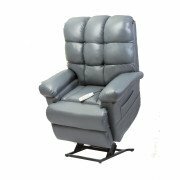 This gives you the ability to decide what position is the most comfortable. And then you can be lifted to a standing position with the press of a button. 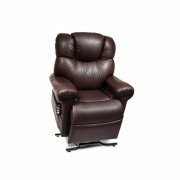 The Infinite Position Lift Chairs can also achieve the "Trendelenburg Position", named for the German surgeon Friedrich Trendelenburg. The Trendelenburg Position is when the head is lower than the pelvis.